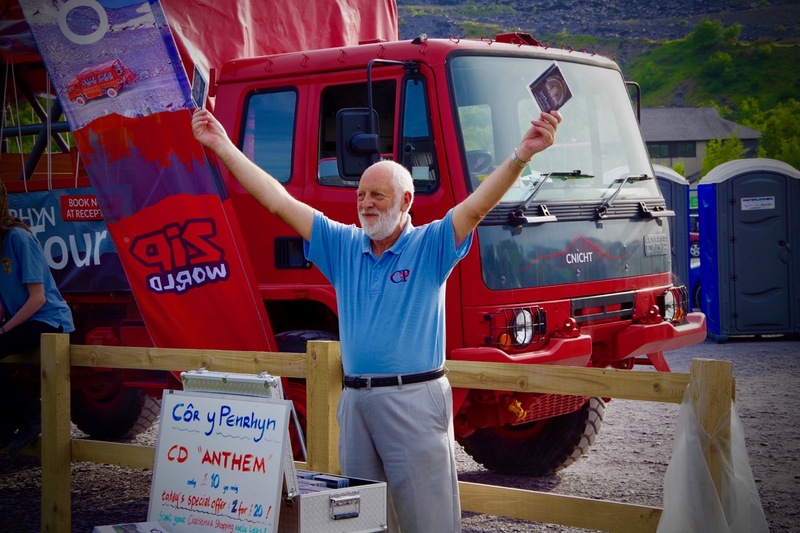 On the 23rd of June 2018, we at Zip World hosted our first ever open-air charity concert at our spectacular Penrhyn Quarry site. 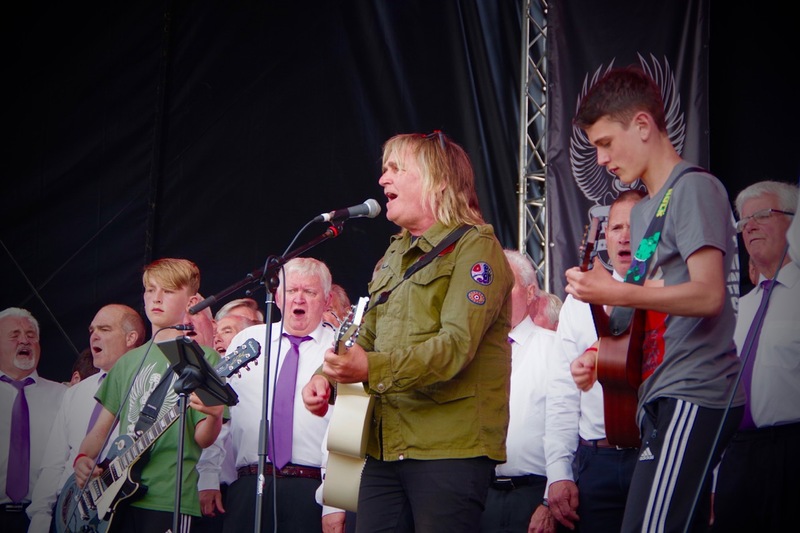 The evening was held in aid of the Love Hope Strength Foundation, a local charity set up in 2003 by former ‘The Alarm’ frontman and cancer survivor Mike Peters. 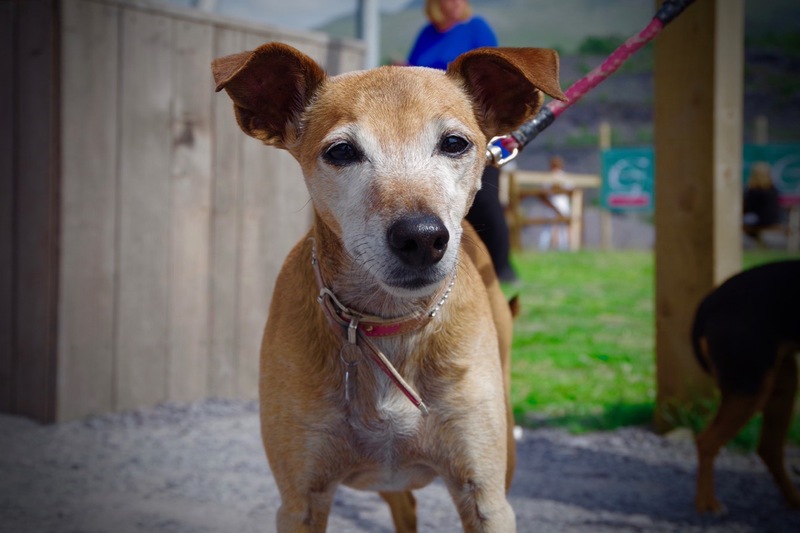 The charity was established to support those living and battling with cancer, and raise awareness and recruit donors to the organ and bone marrow register. So, naturally, it was incredibly important to us to do justice to this incredible cause and put on an unforgettable evening. We were off to a strong start, the weather was on our side and the Snowdonia Rocks walkers had just completed their 20km charity hike along the beautiful mountain range. Everyone was in good spirits and eager to jump into the evening’s festivities. Our Zip World Rocks stage stood at the heart of the site, overlooking the runway of our famous Velocity 2, the world’s fastest zipline. The food concessions were stocked, the stage was set, and the bands had warmed up. We were ready to go. 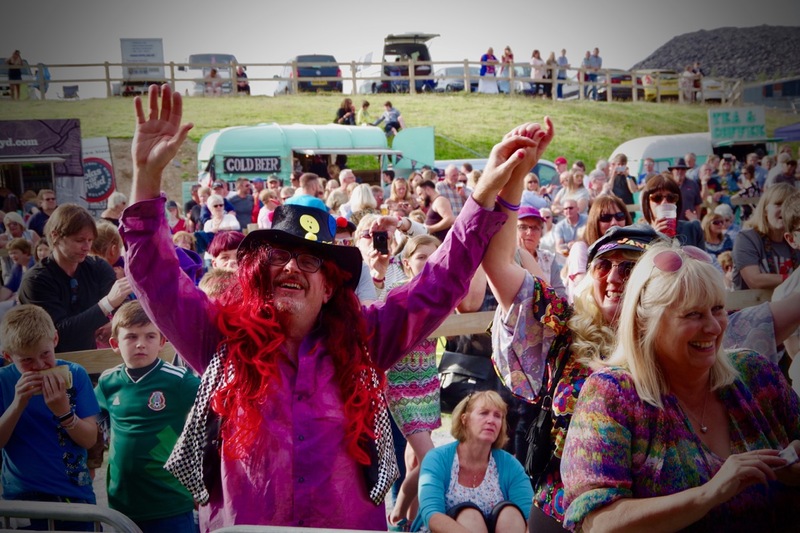 We kicked off the evening with a performance by Welsh four-piece band ‘The Storyville Mob’, whose upbeat tracks set the tone of the evening, with a real feel of positivity and unity. 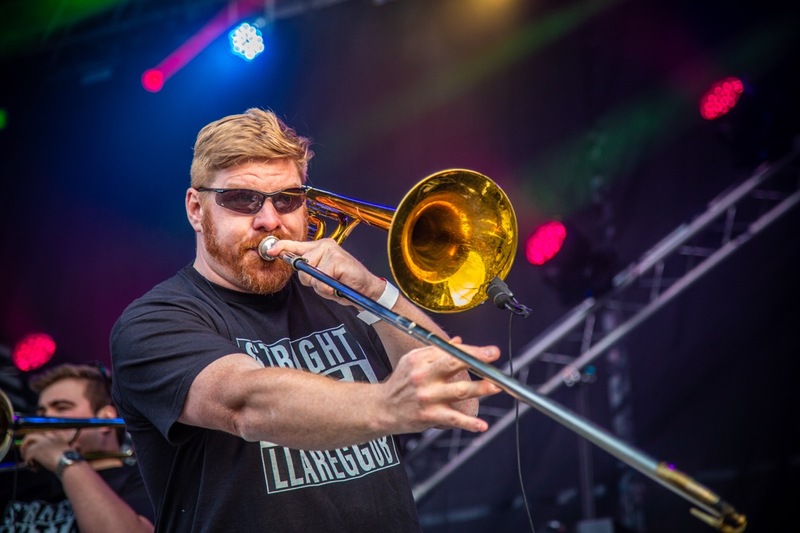 Gareth Jones, known as Welsh TV presenter Gaz Top, hosted the evening from start to finish, projecting his enthusiasm and high spirits along the way. Gareth has worked closely with Mike Peters for 39 years, so it was an honour to have his love for the LHS Foundation and local knowledge on board. Next up was ‘Third Generation’. This up and coming band is formed by three young Welsh lads, two of which are the sons of the man himself, Mike Peters. 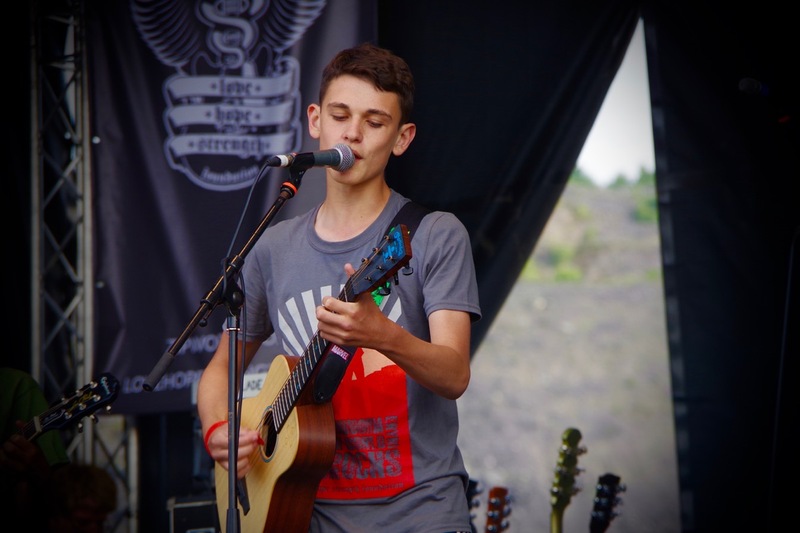 The boys treated us to a few renditions of popular classics, such as Oasis, and were incredibly composed and really embraced playing to a big crowd. Their professionalism and confidence could only have been taught by their dad! Well done boys, you really shone. 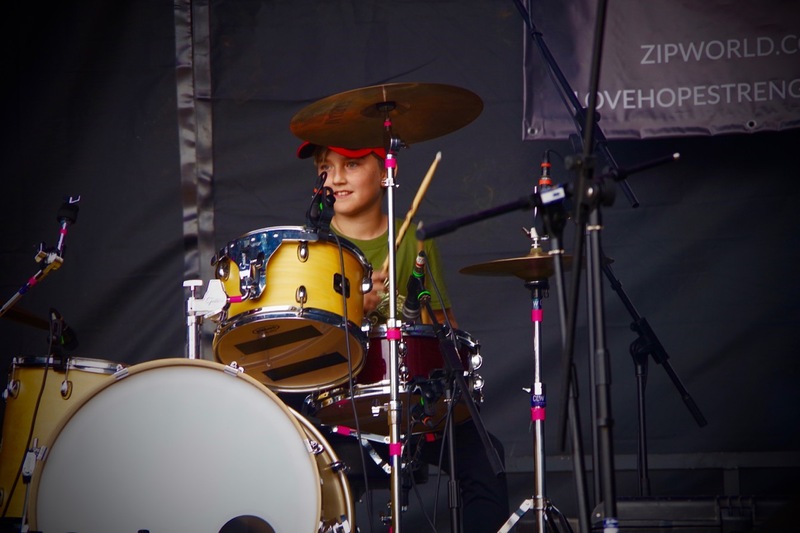 'Maffia Mr Huws' also took to the stage, showing us the true meaning of Welsh rock. The gents had a large following in the crowd, you could really feel the love in the air from the second they grabbed their guitars. They were followed on stage by ‘Cor Y Penrhyn’. This local choir honoured us with a breath-taking selection of their greatest songs and sent us on an emotional rollercoaster; we stood in awe of their incredible talent, and a few were pushed close to tears. 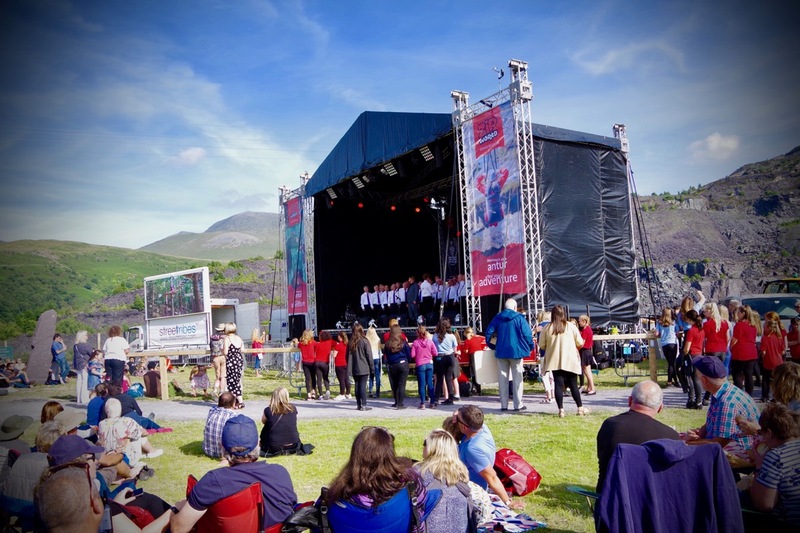 They were proudly joined on stage by Mike, as well as the talented choir of local schools; Ysgol Dyffryn Ogwen, Ysgol Pen Y Bryn and Ysgol Llanlechid for yet another heartfelt singalong. It wasn’t long before Gareth announced our special entertainment for the evening- Base Jumper himself, Andy Guest. This celebrated self-confessed adrenaline junkie and world record holder based himself at the top of our Velocity 2 zipline, to stun our guests with a spectacular stunt. Andy raced down the zipline, hitting speeds of 100mph. At the halfway point, the audience gasped in shock as he suddenly dropped into a freefall, plummeting to the lake below. He then released his parachute, gliding gracefully into the lake, which was met with a standing ovation and a huge cheer. The stunt was something that had never been done before, and was truly spectacular to witness. We were then treated to a very energetic and amazingly fun set by the fantastic ‘Band Pres Llareggub’. 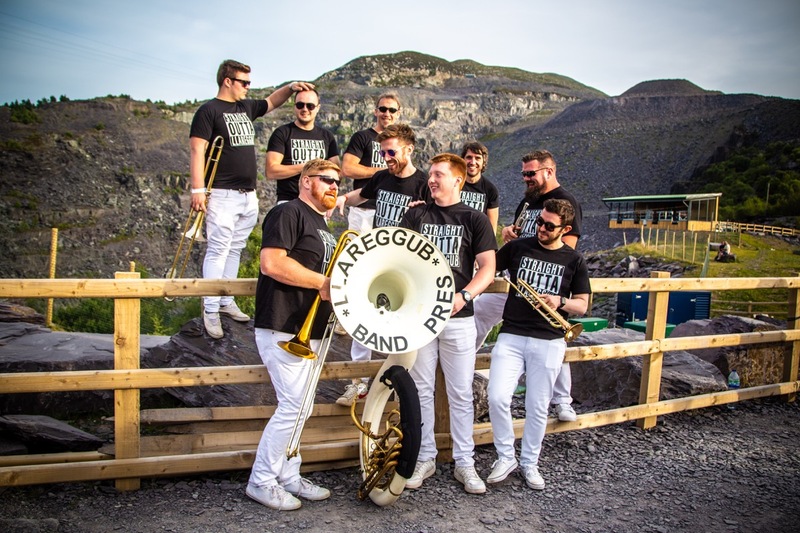 Not what you’d usually expect from a brass band- these boys had the whole crowd on their feet, dancing and cheering along to Hip-Hop inspired tunes, and humming along to many modern and recognisable songs. They took conventionality and turned it on its head, a real feat by true local talent. 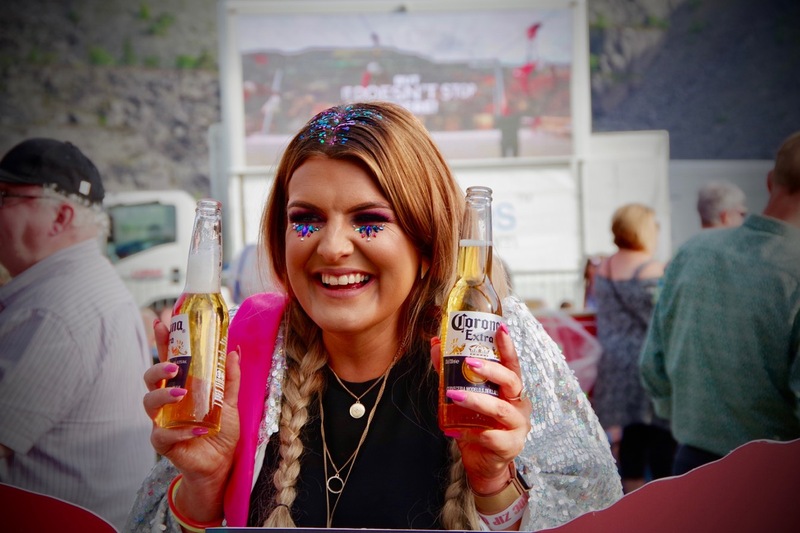 The crowds warmed up for our two headliners, enjoying all of our fantastic food concessions, merch stand and selfie area. 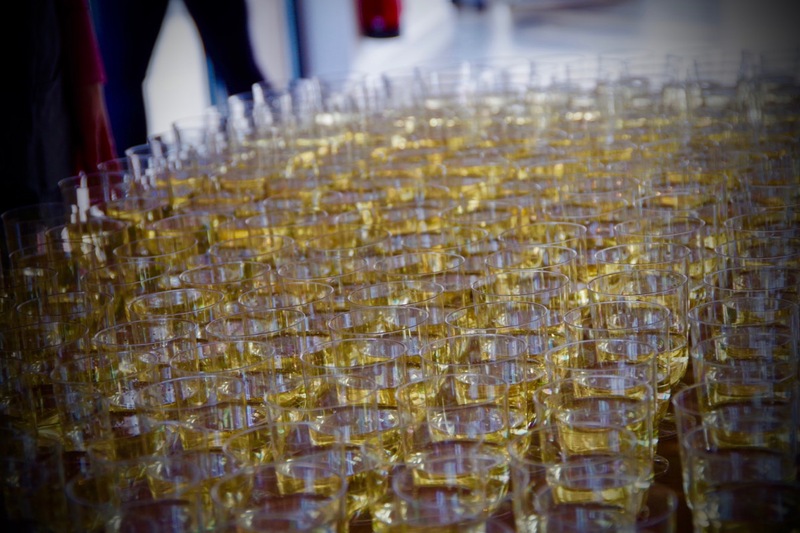 The VIP ticket holders relaxed in our Blodins Restaurant, with a complimentary glass of fizz and an incredible view from the balcony, which overlooked the entire event and the Quarry itself. 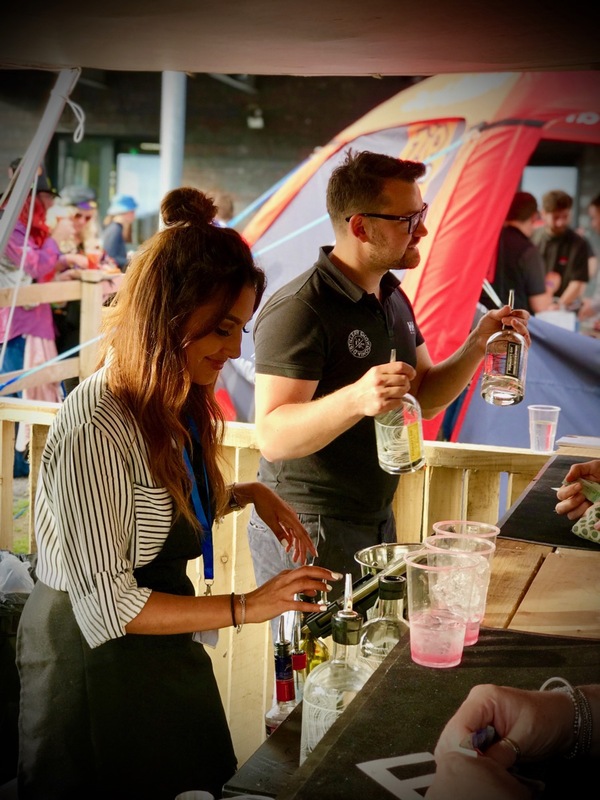 We were excited to introduce our very own cocktail, the ‘Slade Slammer’ over at the Foragers Gin stand, where their expertly trained staff shook up all kinds of gin-based goodies. 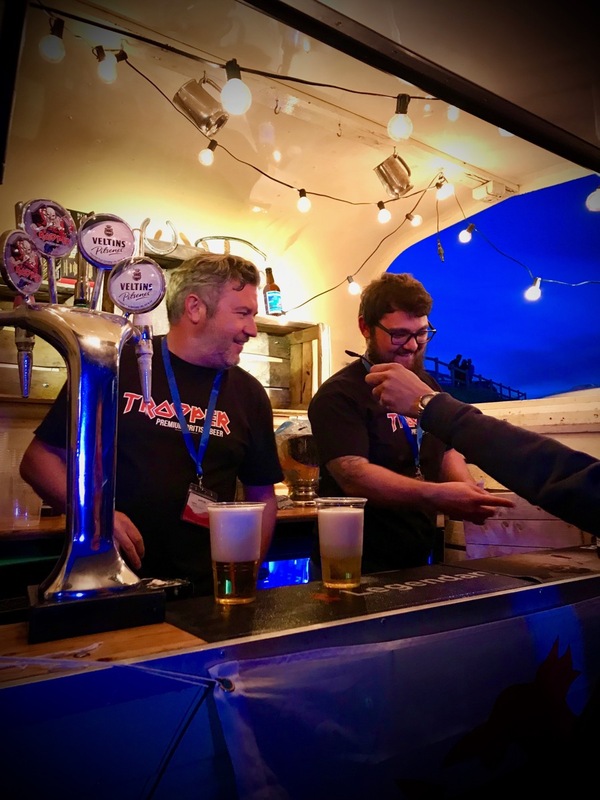 The boys over at ‘Beardo Bar’ worked non-stop all night, providing beer on tap, whilst the lovely team at ‘Blas ar Fwyd’ kept our energy levels to the max with all of our locally sourced hot snacks and sweets. 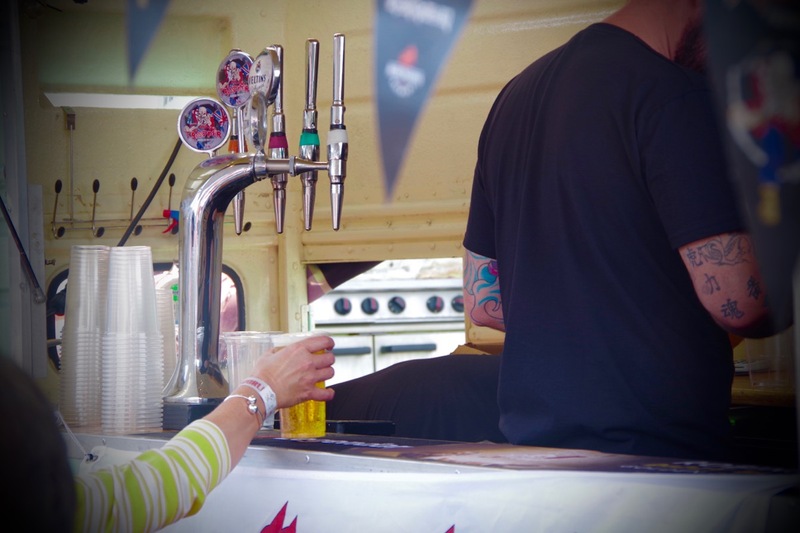 Not to forget all of the plant-based and veggie goods being sold over at the ‘Veggieman’ stand, as well as ‘My Coffee Station’ catering to our caffeine needs. 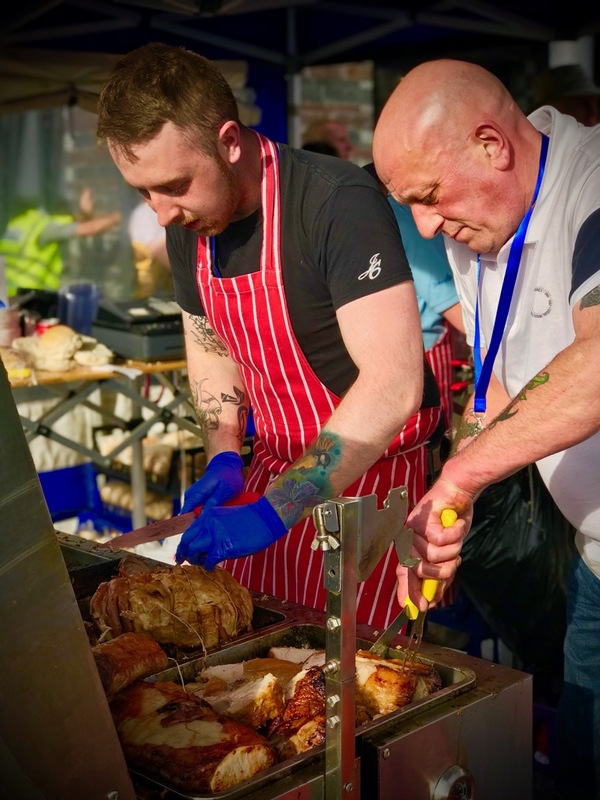 A particularly popular stop for the evening was the delicious hog roast served by ‘G Williams and Sons Butchers’- amazing! Zip World’s Callum and Candice manned the merchandise stall all evening. 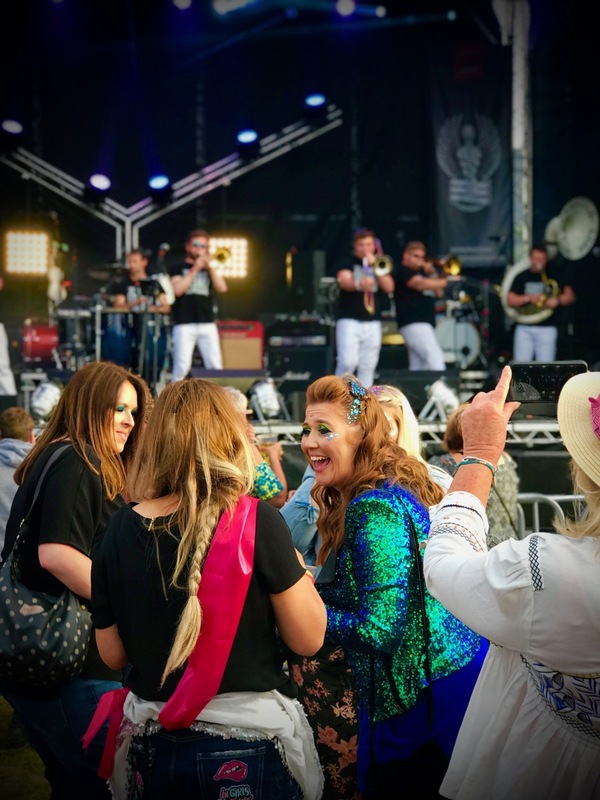 They kitted the crowd out with their very own Zip World apparel, from t-shirts, to bandanas to hoodies, whilst everyone busied themselves at our selfie area, taking some cool pictures with all kinds of rock ‘n’ roll props. 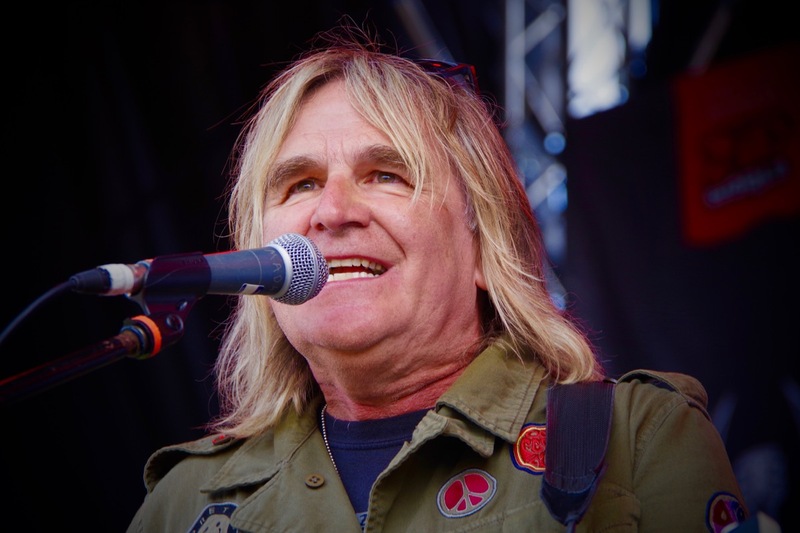 Man of the moment Mike Peters then took to the stage as our evening’s first headliner. The crowd raced towards the stage to grab a good spot for the performance. The heartfelt and emotional set further reminded us of the true purpose of the evening; to raise awareness and celebrate the amazing accomplishments of the Love Hope Strength Foundation. 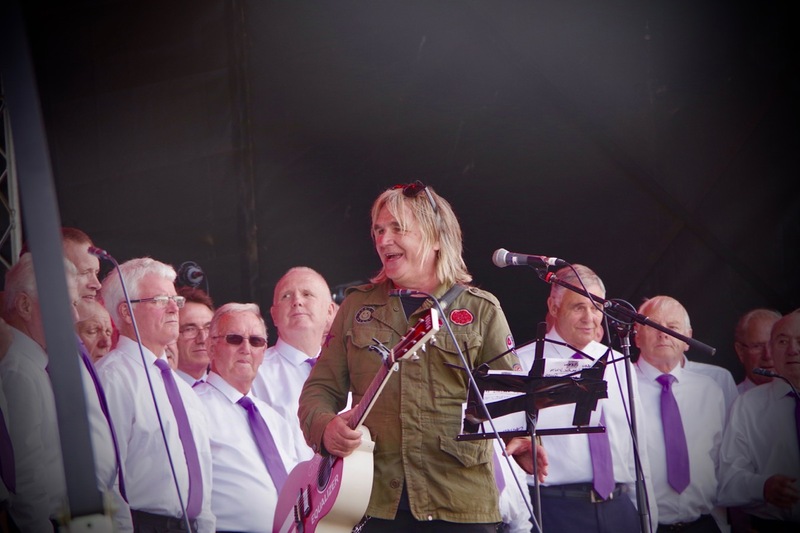 Everyone sang along to former ‘The Alarm’ frontman’s epic tracks, and there was a real buzz in the air as he descended the stage. 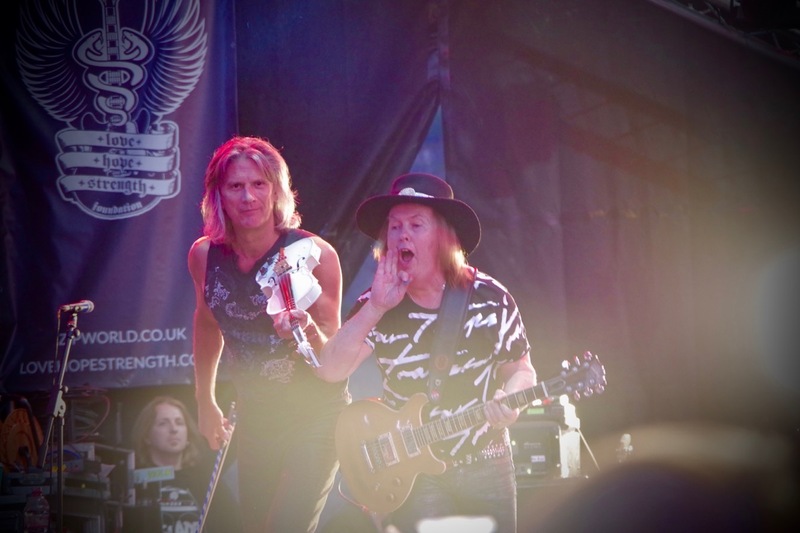 After much anticipation, main headliners Slade finally took their turn on the stage just as the sun was setting. The rock legends put on an epic show, and each member of the crowd was on their feet, dancing and singing along to all the classics. Slade showed true showmanship, interacting with everyone, and rocking just as hard as they did at the beginning of their reign. They ended the evening with an epic encore, which concluded an amazingly successful first concert for Zip World. We raised over £25000 during the event for the Love Hope Strength Foundation, an amazing feat for a life changing local charity. 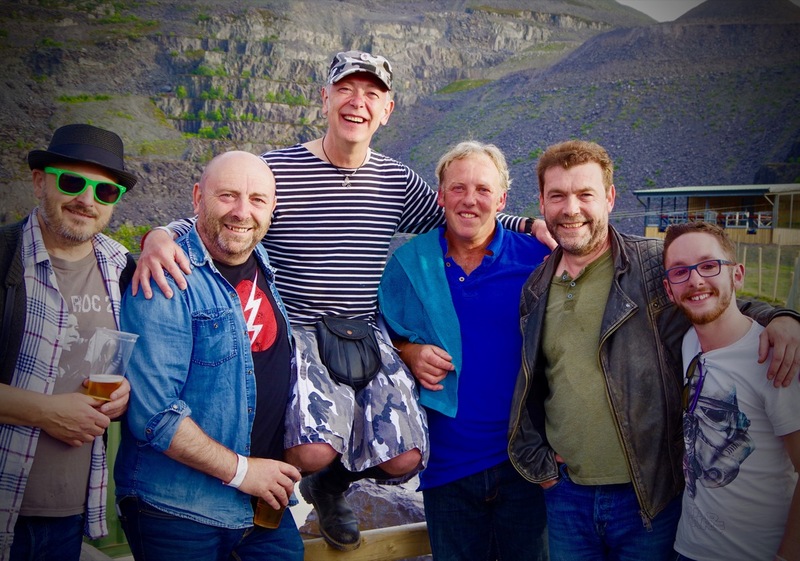 We were honoured to work alongside Mike and Jules Peters during Zip World Rocks. Without them, the evening wouldn’t have been possible, and we can’t thank them enough for their support. 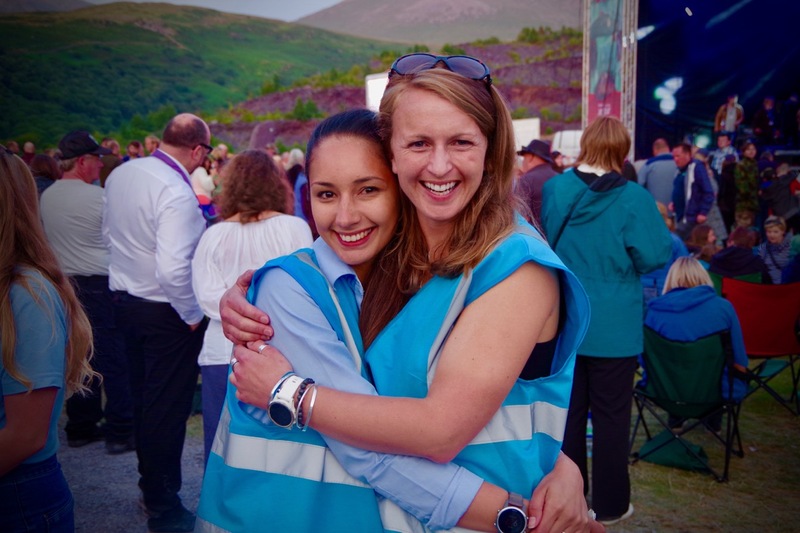 We would also like to extend a special thank you to our Group Bookings Adventure Consultant, Steph Jones, for playing such a huge role in the planning of this fantastic event. Well done to all the Zip World staff, who worked around the clock to ensure the smooth running of the event- we’re already looking forward to the next!